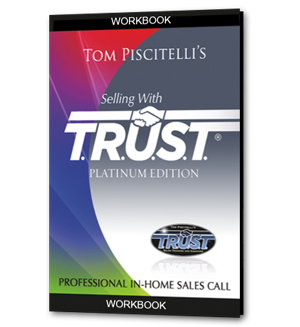 To help you get the most from your investment in Tom’s Selling with TRUST® Platinum Edition online training program and/or DVD set, we now offer a 50-page companion workbook that follows each chapter with reinforcing questions about the key points. Written personally by Tom, each question is intended to cause you to think more carefully about what you had seen in the video examples and apply the key points from each chapter to your personal sales process. The workbook is professionally printed and bound. 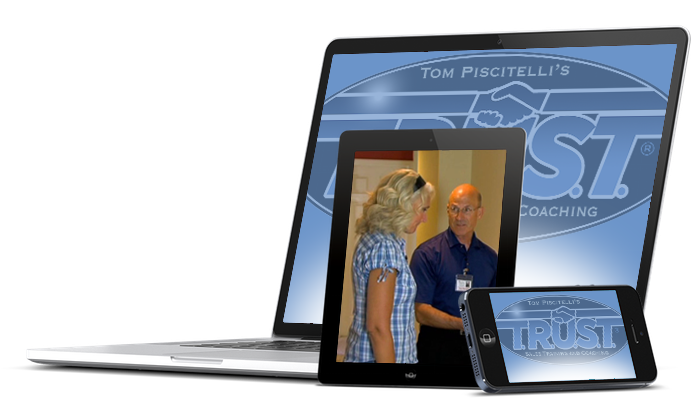 Also included are 20 of Tom’s favorite worksheets and documents in electronic form for your unlimited personal use. We will be shipping the Selling with TRUST® Platinum Edition Companion Workbook starting July 15. Order now to receive your copy first! As an introductory offer, when you purchase our new Platinum Edition Online Video Series, we’ll throw in the Workbook for FREE!